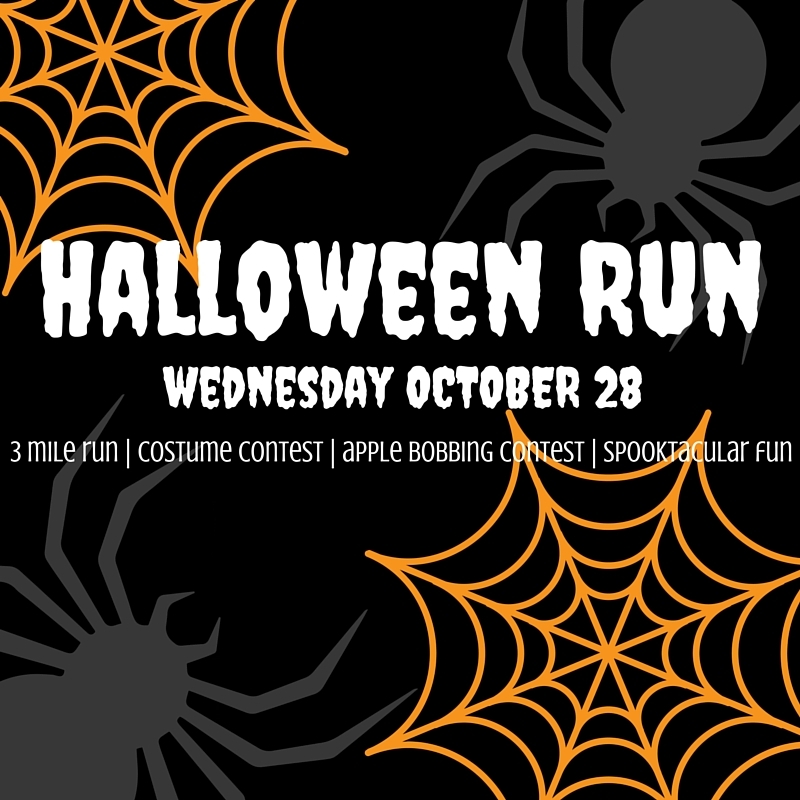 Join us 6 p.m. Wednesday October 28th for a spooktacular run! We'll start at the store and leave for a 3 mile run. Remember, it'll be dark, so headlamps/lights and reflective gear are required. Enjoy refreshments after the run and don't forget to participate in our apple bobbing contest! Also, our costume contest can earn you a prize for the funniest outfit, scariest outfit and most "Fleet Feet" inspired outfit.